La Regista is an overhaul of the classic directorâ€™s chair, redesigned in a carbon fibre version. 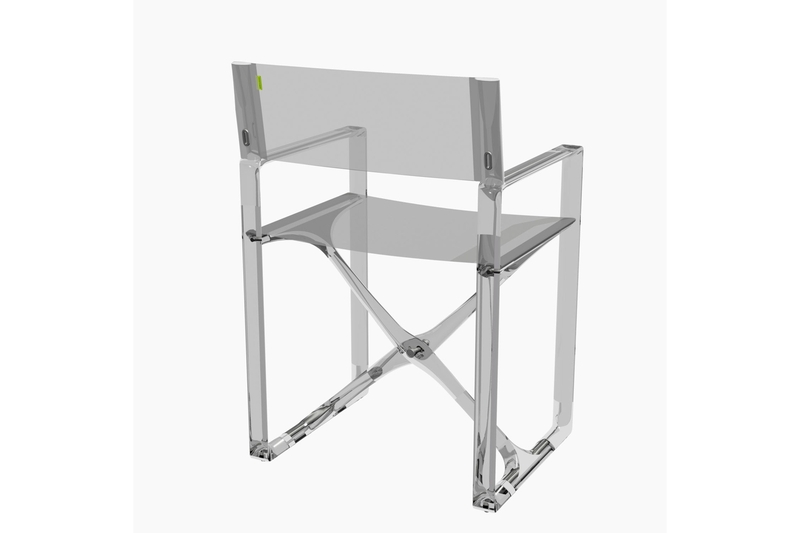 The material used gives this chair an extreme lightness. 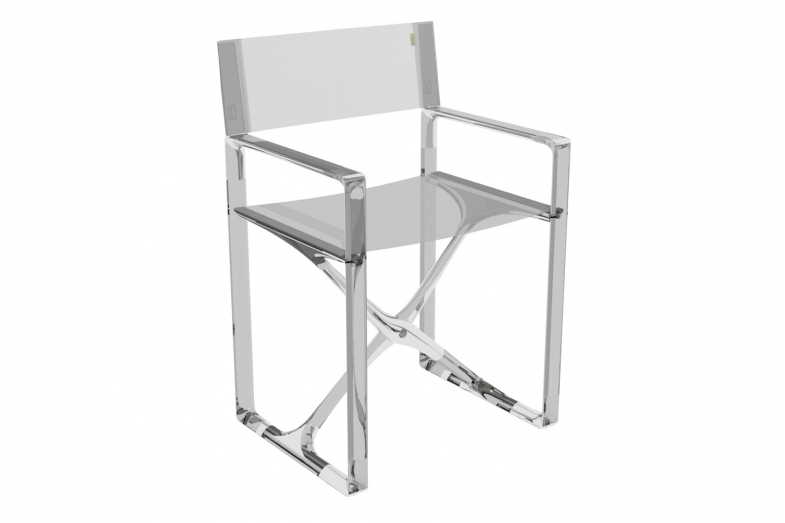 When folded, the chair is 14cm in size. The canvas is welded to a high resistance and is the same as that normally used in the external supplies of boats, making it ideal for use outdoors.